Goals: Balance testosterone, Enhance performance, Enhance recovery, Improve overall good health, Improve sport performance, Improve workout, Prepare contests, Reduce the effects of aging, Support the immune system. 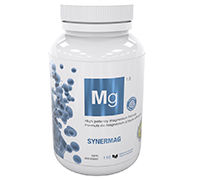 Magnesium is required for more than 300 biochemical reactions in the body. It ranks fourth as the most abundant mineral in the body, and second most prevalent intracellular mineral. Its roles in brain function are diverse. It is essential for the neurotransmissions that orchestrate mood, cognition, memory, sleep, relaxation and overall emotional wellbeing. No ingredients not listed on the label have been added to the product. Contains no corn, wheat, gluten, nuts, dairy, soy, eggs, fish or shellfish by product. Recommended Use or Purpose: Helps the body to metabolize carbohydrate, proteins, and fats. Helps in the development and maintenance of bones and teeth. Helps in tissue formation. Helps to maintain proper muscle function. An antioxidant for the maintenance of good health. 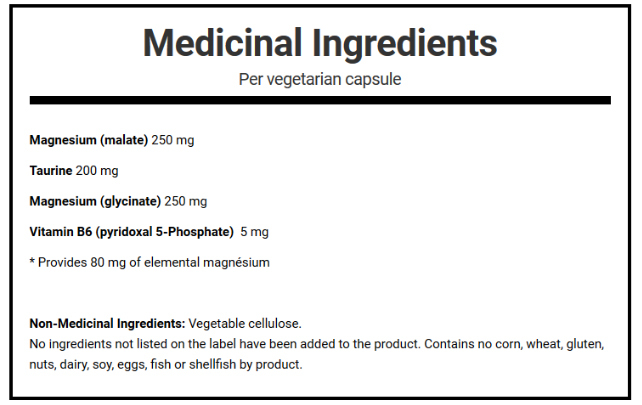 Recommended Dose: Adults: Take 1 capsule daily, with our without meal, or as directed by your healthcare practitioner.